Goods leaving a seller when VAT is applicable might reach buyers after GST is live. 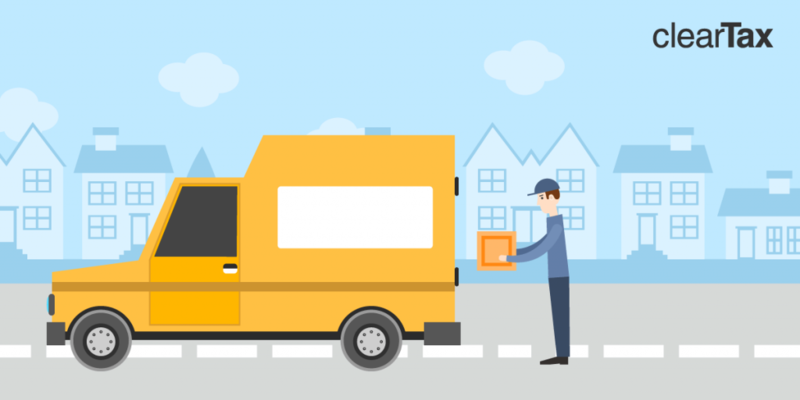 Read more on the transition provisions of goods in transit under GST. A business is an ongoing process, working mostly 365 days of the year. This is very true for manufacturing industries. For such businesses, Goods in Transit is a regular occurrence with goods being sent from factory to a branch, or to the buyer regularly, and on any given day one can see delivery trucks plying goods on highways. GST will roll out on 1st July 2017, which brings to mind the treatment of goods in transit after the tax regime change. Goods will leave a seller’s premises when excise/VAT is applicable and reach the buyer when GST is applicable. Sounds confusing, right? So, let us discuss in detail the transition provisions of goods in transit under GST so that you know which tax to pay and when. Ajay sold goods to Vijay on the 20th June 2017 and charged VAT @ 5%. The goods were delivered on the 5th July 2017. A question that comes to both Ajay and Vijay is how will they show this transaction in their books. Will they have to pay GST too? As per CBEC FAQs, no tax will be payable on such supply of goods/services under GST to the extent the tax is leviable under the existing law. Will GST be Payable on Goods In Transit? If a supplier sold any goods (or services) in respect of which tax was collected under earlier tax law and an invoice was also issued before the appointed day, then GST will not be applicable even if payment is made after GST implementation. The transition provisions of goods in transit under GST can be understood through the point of taxation rules. If point of taxation of goods/services is before the GST implementation then it will be taxed under earlier law. GST will not be applicable. Any portion of any supply whose point of taxation is after GST implementation will be taxed under GST. Mr. S. sold goods to his buyer Mr. B. He issued an invoice on 27th June 2017. Mr. B. received the goods on the 9th July and paid the dues on 10th July. Is GST applicable on this? According to the time of supply rules of GST for goods, the point of taxation will be the earlier of either the Invoice issue date (27th June) or the Payment date (10th July). In this case, it will be the 27th June. Since the sale was made before GST implementation, it will be taxed under earlier law. GST will not be applicable. Mr. S. sold goods to his buyer Mr. B on 29th June. Mr. B. received the goods on 9th July. Mr. S issued an invoice on 12th July and received payment on 15th July. Is GST applicable? According to the time of supply rules of GST for goods, the point of taxation will be the earlier of the Invoice issue date (12th July) or the Payment date (15th July). In this case, it will be the 12th July. Since, the point of taxation is after GST implementation, it will be taxed under GST. Ajay sold goods of Rs. 1,00,000 to Vijay on 20th June 2017 and charged VAT @ 5%. Vijay paid the dues on 25th June 2017. The goods left his premises on 21st June and were delivered to Vijay on 5th July 2017. In this case, only VAT will be charged. GST will not be applicable as VAT was collected under earlier tax law and an invoice was also issued before GST. Ajay sold goods of Rs. 1,00,000 to Vijay on 20th June 2017 and charged VAT @ 5%. The goods were delivered on 5th July 2017 and Vijay paid on 10th July 2017. In this case, only VAT will be charged. GST will not be applicable as no GST shall be payable on goods to the extent VAT was levied on the said goods. Can ITC be Claimed on Goods in Transit? A registered taxable person can claim input tax credit of goods/services received after GST for which tax has been paid under earlier law. The condition is that invoice or proof of tax payment must recorded in books of accounts within 30 days from GST implementation date. The original period of 30 days can be extended by 30 more days, on the basis of sufficient reasons. The registered taxable person will furnish a statement in respect of credit that has been taken. Let us analyse another example. Mr. S. sold goods to his buyer Mr. B on 29th June and charged VAT @ 5%. Mr. B. received the goods on 9th July. He paid on 15th July. Can Mr. B. claim input tax credit on these goods under GST? Yes, Mr. B can claim ITC, provided he records the purchase in his books by 31st July. Have more questions on transition to GST? 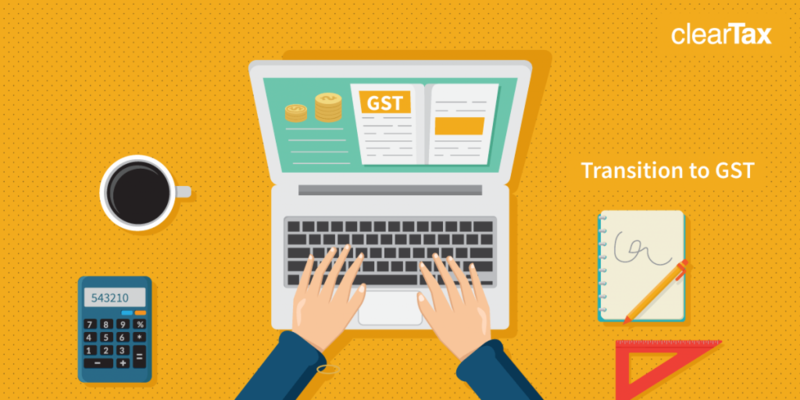 ClearTax has extensive articles on transition to GST.